Acrylic on canvas panel (2013) The scene is from Northern Vermont. My husband and I enjoyed two weeks making day trips to take in the vistas of the region. This scene, so classically Vermont in the Fall, was a joy to paint. 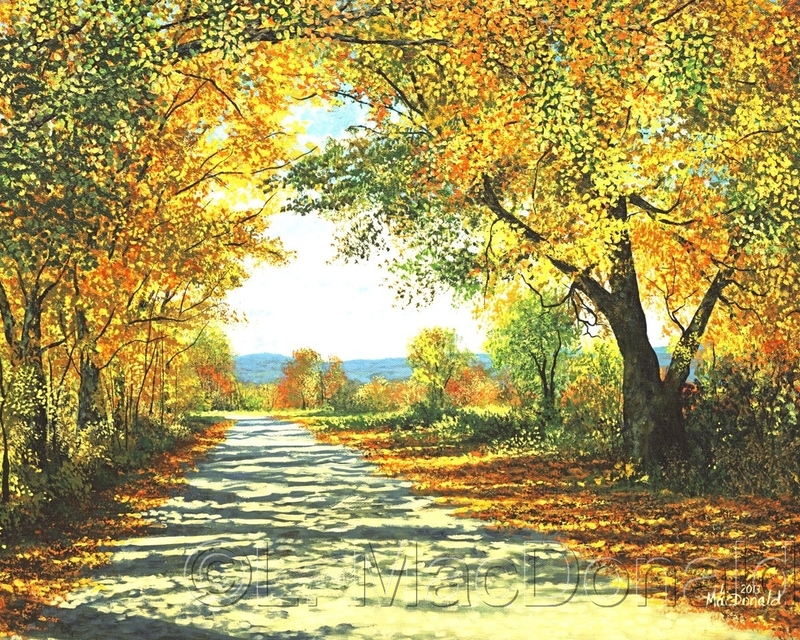 The warm tones are vivid and strong, inviting the viewer down this country road.